No longer are construction projects top-driven by a single person directing the activities of all. Instead, Integrated Project Delivery (IPD) strategies integrate the interests and risks of the owner, architect and contractor into a collaborative team effort to more fully harness the talents and productivity of each separate project element. 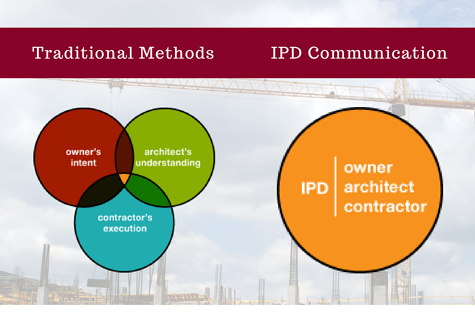 Unlike traditional design-bid-build or design-build contracts, the IPD process expects that the triad of stakeholders with the most investment in the project are all working in harmony to achieve a mutually satisfactory result. It requires a change of practice but promises faster completion times and reduced cost overages while securing partnerships early in the construction process. All members commit to working with integrity and accountability, with the building owner setting the example. Early identification of critical team members identifies potential risks and equitably distributes both work and risk. Adopt the best technologies to achieve the best results. The IPD team will clarify both goals and the means to achieve them, including early selection and engagement of special contractors. Together, the IPD team identifies project metrics that measure the steps toward goals and assigns accountability for the achievement of each. Gathering required tools early ensures quick and easy access; deciding on methodologies eliminates confusion. Even the wording of the IPD contract is couched in collaborative terminology that declares the shared risks and rewards, emphasizes long-term values and encompasses all aspects of the work, including that of insurers. Fewer errors and change orders reduce unexpected cost overruns. IPD processes keep everyone informed about project progress, facilitating better decision making. When the team starts on the same page, there are fewer opportunities for things to go awry. Projects are more likely to end on time and within budget. 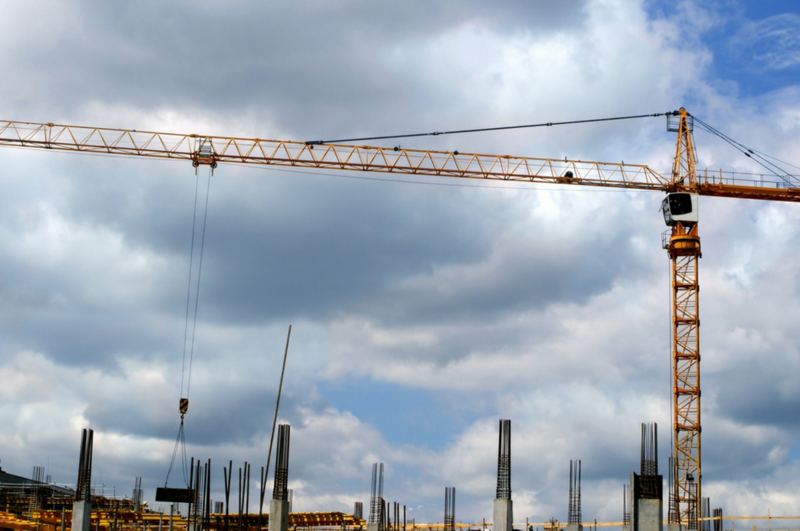 The construction industry is already seeing positive results from the switch to the IPD process. A Penn State study discovered that IPD projects experienced a six-percent decrease in change orders, and projects were delivered as much as 33 percent faster than construction projects crafted within the traditional processes. The world is rebuilding itself to meet the demands of the digital age. Integrated Project Delivery strategies ensure that the new construction is less expensive but better built than its predecessors.